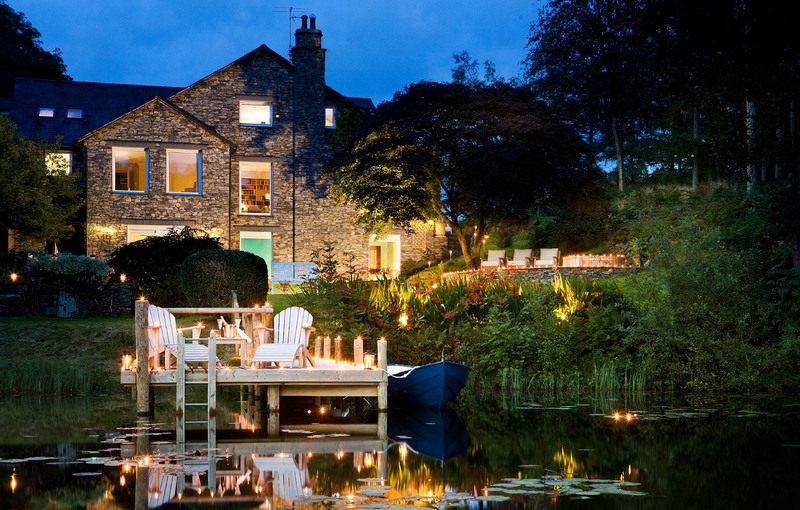 As far as I'm concerned Gilpin Lodge and the Lake House are the best hotels in Lake District, bar none​. Run by the wonderful Cunliffe family, they offer unparalleled levels of luxury and style whilst never feeling in any way stuffy. I always love working on photography projects with Barney and Zoe, the subject matter is always interesting and the stunning interiors and surrounds are a photographers dream. 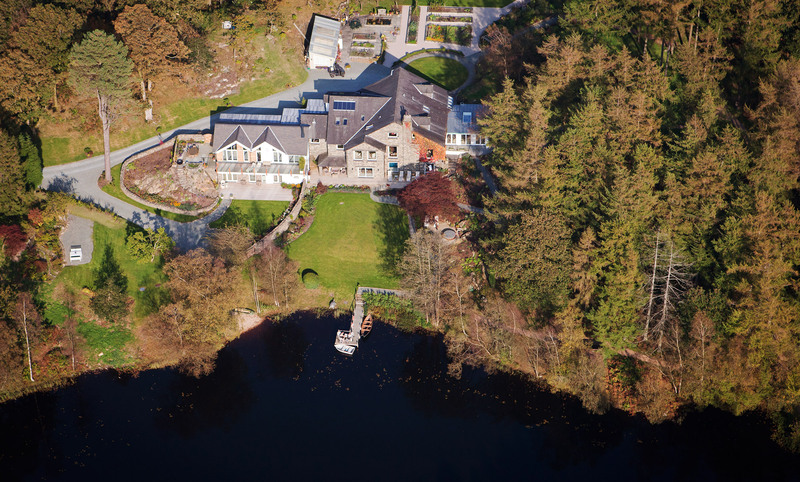 Since opening in September 2010, guest have been blown away by the Lake House. One couple commented “it’s like a decompression chamber for stress – you simply feel your body relax”. 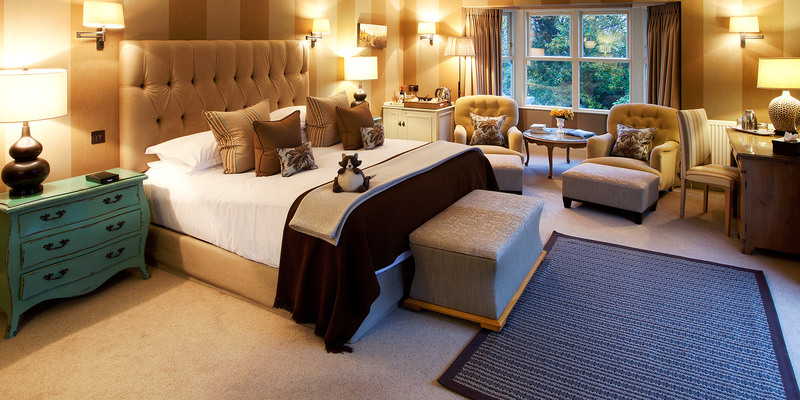 Six individual suites share a fully staffed boutique hotel with bar, dining room, lounge, swimming pool and lake. Before work was completed Barney asked me to get a shot of the building, showing the rowing boat and jetty on the private lake. After an initial recce it became clear that this was going to be no easy task. The ideal position to get the shot with the angle of view I required was in the middle of the lake, under normal circumstances this would simply be a case of going out in a boat, however as this was an evening shot I needed a long exposure which meant the camera would need to be static. The lake is too deep to put up scaffolding so after a bit of head scratching I came up with a solution. The camera was attached to a very stable inflatable boat, this was then positioned and locked into position with 4 anchors sunk at a distance away from the tender in 4 different directions. By using ratchet straps to tension a line from each corner of the boat to the anchors it fixed it firmly in place. The camera was then left onboard as I returned to shore to allow any ripples to vanish before firing the camera remotely. The exterior lighting wasn't ready so we lit and placed several hundred tea lights to make the outside areas glow. I think it's one of the most complicated setups I've done for a single shot but I think it was worth it.